The Archdiocese of Baltimore is fully committed to the safety of the children entrusted to its care and to reaching out to victims of sexual abuse to offer them and their families counseling and pastoral care. Anyone who has any knowledge of child sexual abuse is urged to come forward, and to report it immediately to civil authorities. If clergy or other church personnel are suspected of committing the abuse, we ask that you also call the Archdiocesan Office of Child and Youth Protection Hotline at 1-866-417-7469. The Archdiocese will seek from the Vatican the laicization or dismissal from the clerical state of Michael Barnes, who was sentenced earlier this month in Worcester County Circuit Court upon being found guilty following his Alford Plea to one count of Child Abuse-Custodian related to an allegation that he sexually abused a minor over a period of time from 1977 to 1983. In March 2009, the Archdiocese of Baltimore publicly disclosed that it had learned of the allegation of sexual abuse against Barnes, who left the priesthood in 1988. At the time of the alleged abuse, Barnes was assigned to St. Clare’s Parish in Essex. The allegation was immediately reported to the Baltimore County State’s Attorney’s Office and, in accordance with Archdiocesan policy, the alleged victim was offered counseling assistance. Barnes has not served publicly as a priest since he took a leave of absence in 1988. Barnes was ordained a priest in 1975. He served as a deacon and priest at St. Michael, Overlea, from 1974-1976, then as Associate Pastor of St. Clare from 1976-1982. Following his assignment at St. Clare, Barnes was assigned to the following ministries: Priest-in-residence, St. Thomas More, Baltimore, 1982-83; Associate, St. Pius X, Rodgers Forge, 1985-86; Associate, St. Mary, Cumberland, 1988. Barnes served as a lay adult faith formation leader at St. Raphael’s parish in Rockville from July 2001 to January 2009, working with adults seeking to become members of the Church. 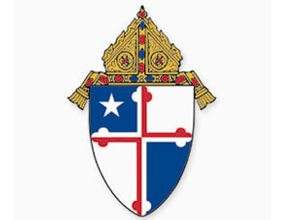 The Archdiocese will also seek the laicization of Thomas Bevan who was found guilty following his Alford Plea September 24 in Frederick County Circuit Court to one count of child abuse stemming from an allegation that he sexually abused a minor in 1976 while he was Associate Pastor of St. John the Evangelist Church in Frederick. Bevan was removed from ministry following two allegations of child sexual abuse and had his faculties to function as a priest removed in August 2009. In November 2009, the Archdiocese announced Bevan would be permanently barred from active priestly ministry, citing the conclusion of its investigation and the allegations of two additional individuals that they were abused by Bevan as minors in the early-mid 1970s. When the Archdiocese received the allegations of sexual abuse against Bevan, it immediately reported the matter to the State’s Attorney. Representatives of the Archdiocese met with the alleged victims and offered them counseling and have remained in communication with them. Bevan was ordained a priest in 1963. In addition to serving at St. John, Frederick from 1974-1979, he also served at Our Lady of Mount Carmel, Essex (Associate), 1963-1974; St. Mark, Fallston (Pastor), 1979-1991; St. Mary, Cumberland (Temporary Administrator), 1991-92; St. Patrick, Mount Savage (Temporary Administrator), 1992; St. Patrick, Cumberland (Pastor), 1997-2009. Bevan served as Executive Director of the Secretariat for Priestly Life & Ministry for the National Conference of Catholic Bishops (now the USCCB) from 1992-97. He also served in the Office of Clergy Education for the Archdiocese from 1976-91. During his time as an Associate at Mount Carmel, he taught Religion and Church History at the parish high school. While an Associate at St. John, he taught liturgy courses at Mount St. Mary’s. As part of its commitment to transparency, the Archdiocese initiated public disclosure of the allegations against both Barnes and Bevan at the time the allegations were reported and civil authorities cleared the Archdiocese to do so.